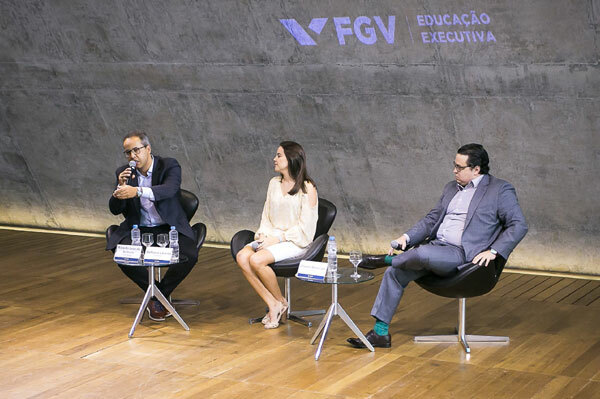 On Saturday, 30 March, FGV, Brazil’s most important think-tank, and CIES jointly held their ninth seminar in sport management – this time the theme was “Successful Career Paths in the Sports Industry” – as it celebrated the 10th edition of the FIFA FGV CIES Executive Programme, as well as the 20th edition of the FIFA Master in Management, Law and Humanities of Sport, which is due to kick off in Leicester, in September 2019. 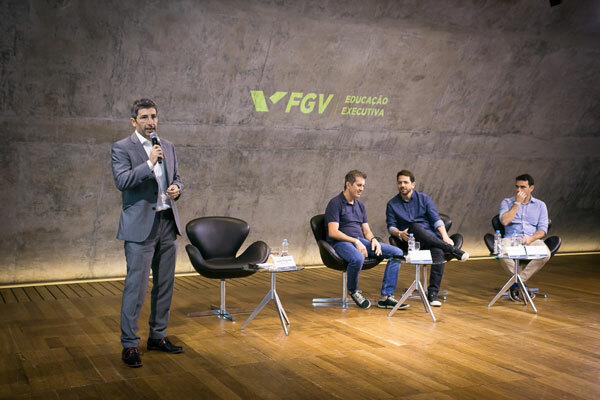 To showcase a number of successful careers, the organisers put together a programme made entirely of FIFA Master Alumni, who, throughout the day, shared their experiences and inspired hundreds of people who packed the 400-seat auditorium at FGV’s headquarters, in Botafogo. The day started with a magnificent presentation by Rio de Janeiro’s “Camerata Jovem”, a musical group formed by young unprivileged kids, inhabitants of various carioca slums, who perform classical music at the highest level – having earned several international prizes and accolades. A truly emotional experience to start the day. The Seminar was then officially opened by Francisco Rubio Sanchez, Academic Director of the CIES Executive Programme in Spain, the President of the Brazilian Olympic Committee, Paulo Wanderley, Paulo Coelho, Superintendent of FGV Rio, and FIFA Master alumnus Pedro Trengrouse (class of 2004), who’s also the coordinator of CIES’s Executive Programme at FGV and the mastermind behind the event. He said “The most valuable asset an academic course has is the people it schools. This seminar makes it crystal clear that studying at the FIFA Master and the CIES University Network is the right decision for everybody aiming to work in sports, which industry has been improving over the last years exactly because of professionals coming from these courses. We are looking forward to the next seminar in Brazil and hopefully attending others around the world”. The day followed with alumni Sthefênia Lacerda (class of 2015), who’ll be working at the 2019 FIFA Women’s World Cup, in France, Ricardo Leão (2018), Stadium Operations Coordinator at the Copa America 2019 Organising Committee, and Ulisses Bresciani (2016), a lawyer at S.E. Palmeiras, who gave a testimonial of how they went from being a student of the CIES programme, at FGV, to attending the FIFA Master, later on. 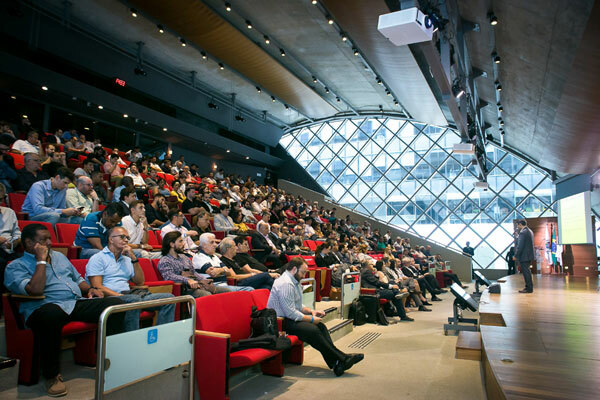 The interest from the audience – which was largely made by current, past, or future Executive Programme’s students – was evident. 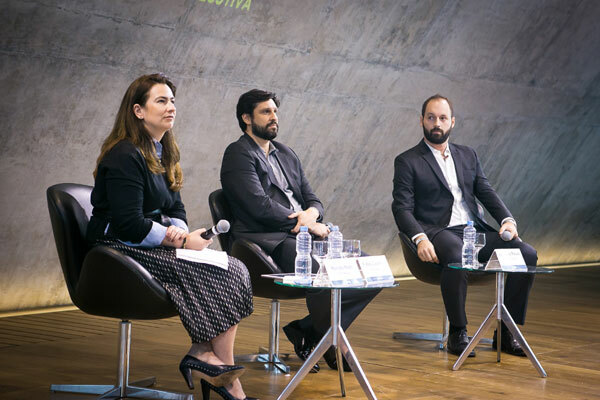 After that, Renata Roth (2008), Henrique Pelosi (2013), both with large involvement in sports events, and Fabio Laudísio (2001), Commercial Director (Brazil) at the NBA, talked about their experience working at large sports events, such as the FIFA World Cup and the Olympic Games. After lunch the focus was on Brazilian football. 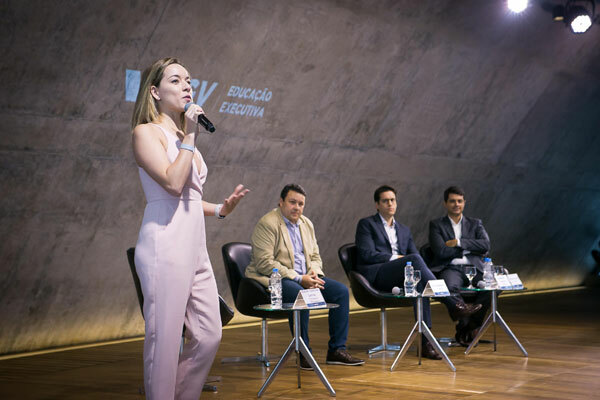 The panel was formed by Elaine Lemos (2015), Director at CBF Academy, Enio Gualberto (2012), Club Licensing Manager at CBF, Alexandre Miranda (2015), lawyer at CSVM Law firm, and Gustavo Vieira (2001), President at the Football Federation of the Espirito Santo State. The following session started with a comprehensive presentation about the FIFA Master Alumni, by FMA Executive Director, Joao Frigerio (2005), who then moderated a panel about the FMA in the sports market, with Carlos Eduardo Ferreira (2003), founder and CEO of Sissu Venture Partners, Andres Cardenas (2004), Global Head of Football at Minute Media, and Leo Lederman (2010), CEO Brazil at GMR Marketing. The last panel presented to the audience the work of the Brazilian Olympic Institute (IOB) and Brazilian Paralympic Academy (APB). The presenters were Soraya Carvalho, Manager at IOB, and Ivaldo Brandao Vieira, Vice President at Brazilian Paralympic Committee. 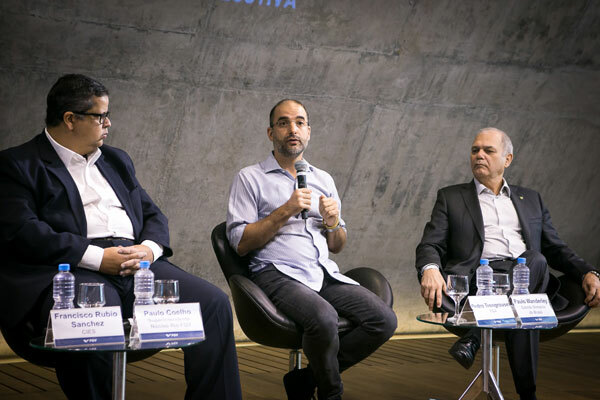 The event was closed by CBF’s competitions director, Manoel Flores (FMA, class of 2009) and Ricardo Trade, CIES’s coordinator in Brazil, CEO at the Brazilian Basketball Federation and CEO at the 2016 Olympic Games Organising Committee. The event was, undoubtedly, another great example of the value that the FIFA Master alumni can bring to the sports industry and, certainly, an example to be followed by regional alumni groups throughout the world. We look forward to seeing more of these – hopefully soon. Watch the seminar here (morning sessions) and here (afternoon sessions).